Every cake needs a pretty cake knife and slice set. This Mr & Mrs Cake set will be a lovely addition to your cake table. 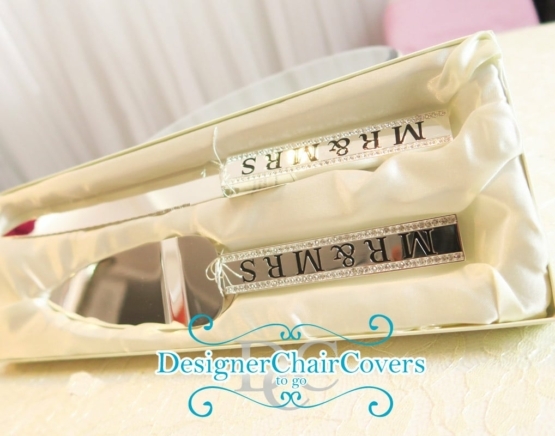 Beautiful chrome and details make this a lovely cake set for your big day. The knife is picture perfect. 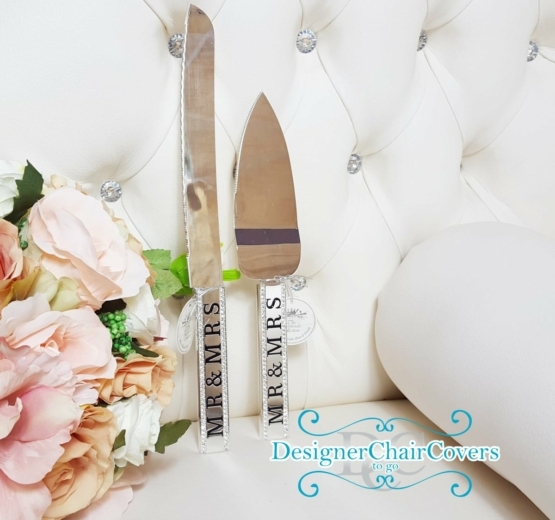 The knife and slice have a beautiful rim filled with crystals for the brides and grooms that love a bit of bling! 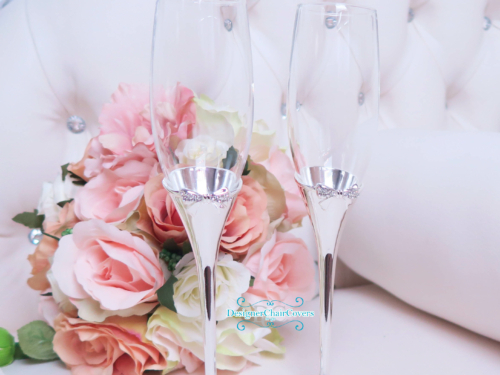 White Champagne Butterfly Flutes These subtle dainty champagne glasses for the happy couple are now in stock. Featuring two little butterfly glitter details. 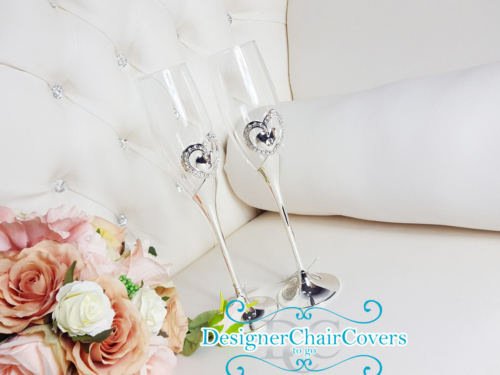 The white champagne glasses add a little beauty with detailing to your cake table or top table. Toast the day with your unique champagne glasses.